There are many puffer jackets in the world of winter clothing, so here are a few things to consider before making your final decision. After all, when navigating these waters, you will see pricing from $80 to over $1500, and many different takes on the style, so a couple of tips might make you a little richer is addition to more comfortable. Puffer jackets, also called quilted jackets, have a signature quilted design with sections that are "puffy" between the stitching. They are filled with down insulation or synthetic fibers, both of which can provide a high level of warmth depending on how well they are made and the quality of the synthetic fibers. Another attribute is that they are often very lightweight despite being very warm (with the down-filled jackets weighing a little more, so keep that in mind). Compared to wool or leather, puffer jackets provide the unique combination of both warmth and lightness. As mentioned, these jackets can feature down or synthetic down insulation. Both are fairly lightweight, but not all methods of insulation will provide the same level of warmth. Generally speaking, a down-filled jacket will be warmer, yet synthetic down can be very comparable if the manufacturer knows a good bit about how insulation works. At RefrigiWear, we have outfitted workers in minus-zero temperatures for over 60 years, so we know that the air in the layers of your insulation is what really helps create barriers against the cold. 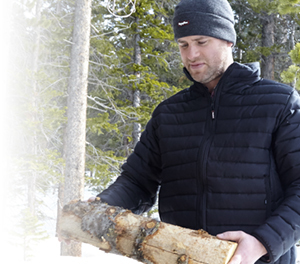 With our proprietary synthetic insulation, we provide high-quality quilted jackets that retain the loft of the synthetic fibers longer so your jacket will keep you warm after years of wear. Cheaper ways of insulating with synthetic fibers often result in the loss of fiber loft after shorter periods, leaving you more vulnerable to the cold. The "puffs" of a puffer jacket are created by the combination of the insulation layer and stitching. Though vertical and horizontal puffers are the most common, we have found that diamond and other geometric shapes provide a more fitted, functional jacket that lasts longer. Quilted designs can vary from small diamonds to larger triangles, which allows for different fits and styling. 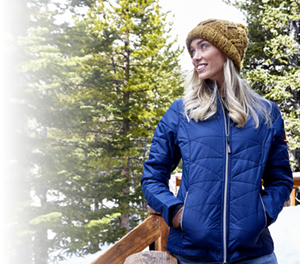 Our Women’s Pure-Soft Jacket features traditional horizontal puffs, with a more slim fit than most puffers. From style perspective, you may hesitate and think that the puffer style will be too bulky and unflattering. That is why at RefrigiWear we offer the quilted design for a stylish fit that also protects and offers functionality. Lightweight but still warm, and great for both cold and cool weather, our quilted puffer jackets are great for both work and everyday wear. As with all RefrigiWear garments, we crafted our quilted puffer jackets with our knowledge of tough working conditions, so you won't be disappointed in the quality of your RefrigiWear quilted jacket or the many years of wear you can get out of it.